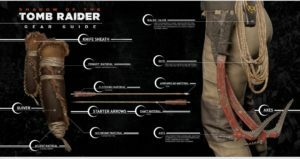 Whether you’re just wanting to see what clothing and weapons Lara Croft will be equipped with in the upcoming Shadow of the Tomb Raider game or wanting to look like the protagonist in real life, Square Enix has you covered with new, detailed pictures they’ve just released. 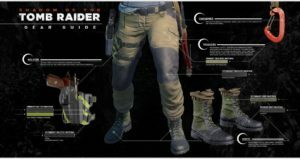 If you’re planning to cosplay that famous Tomb Raider tank top, you can find a printable pattern for it on the Tomb Raider website. For now, only the women’s version is available. However, a male version will be coming soon. (We’ll add that link when it becomes available). 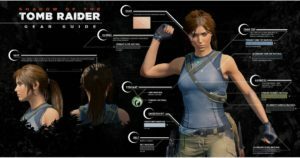 If you do decide to rock Lara Croft cosplay style, be sure to send your pictures to Crystal Dynamics, one of the game’s developers, so they can show it off on their social media channels. Send to fansubmissions@crystald.com. (They’re accepting artwork as well). 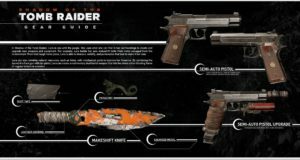 Shadow of the Tomb Raider will release on September 14th for PS4, XB1, and PC. 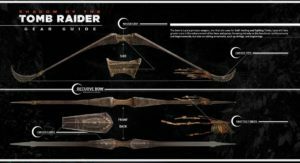 Want to know more about the game? Check out our schedule for when planned DLC, gameplay, and new trailers will be revealed in the upcoming months.